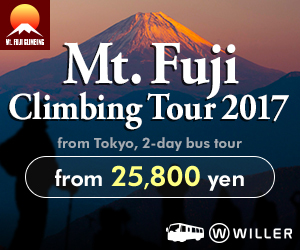 Highlights and how to get to Higashi Hongan-ji Temple. 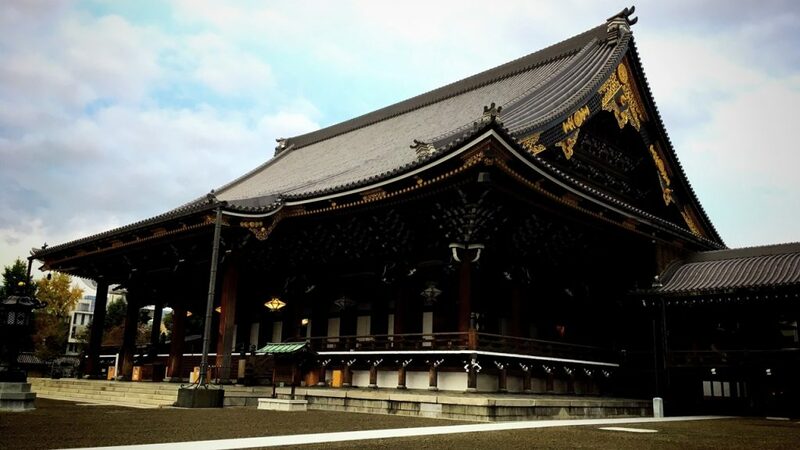 Higashi Hongan-ji temple is a head temple of the Shinshu Otani-ha branch of Jodo Shinshu located in Shimogyo-ku Ward, Kyoto City, Kyoto Prefecture. 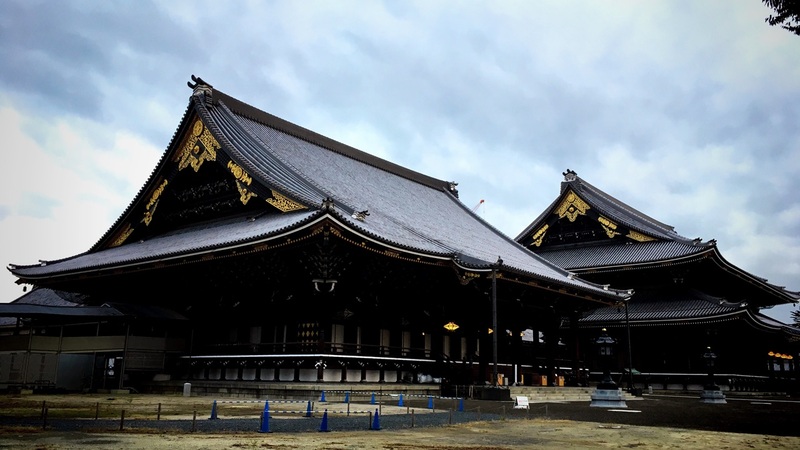 The formal name of this temple is Shinshu Honbyo (commonly called Higashi Hongan-ji). 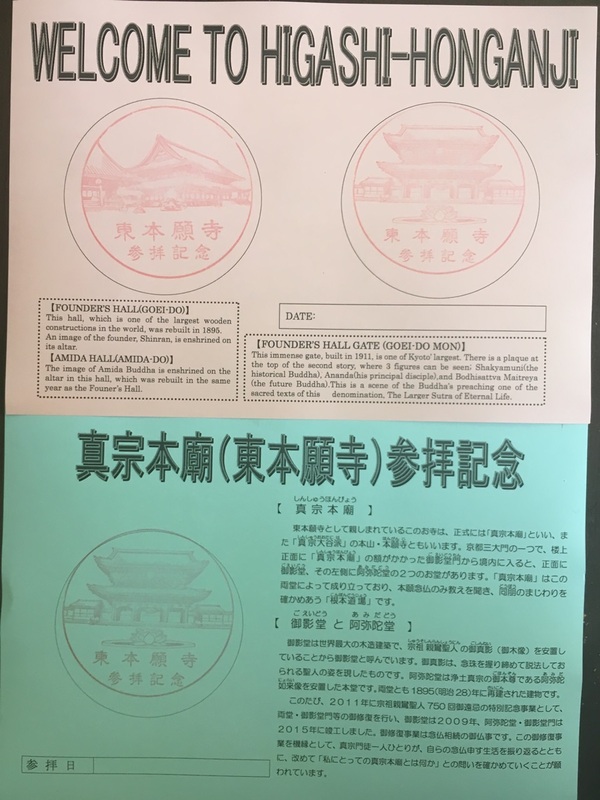 Now, the Jodo Shinshu Sect of Buddhism has two big sects of the ‘Hongan-ji branch of Jodo Shinshu‘ and the ‘Otani branch of Jodo Shinshu‘. 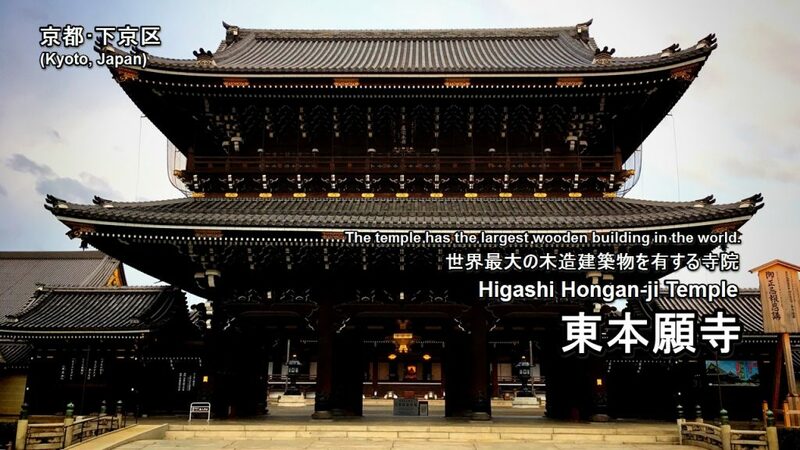 Therefore two big temples of ‘Nishi Hongan-ji Temple’ and ‘Higashi Hongan-ji Temple’ are in Kyoto now. The best highlight of this temple is Goei-do hall (hall dedicated to the sect’s founder). 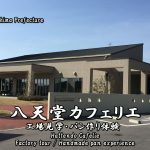 In addition, this temple has been designated as the Michelin green guide ★. 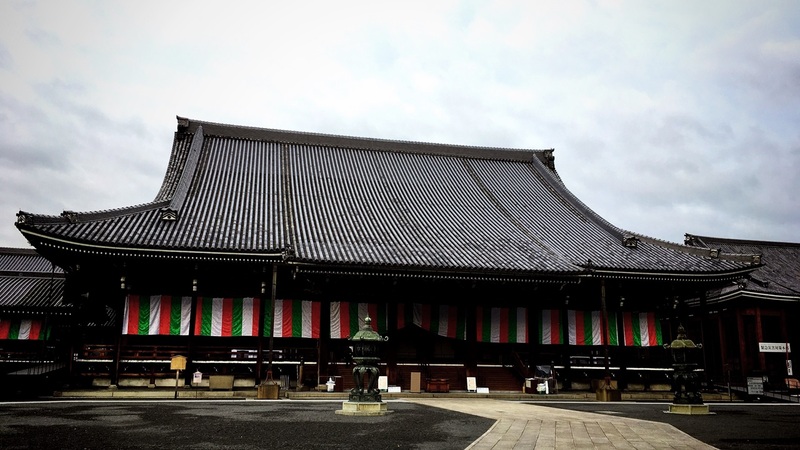 So, I went to Higashi Hongan-ji Temple this time. 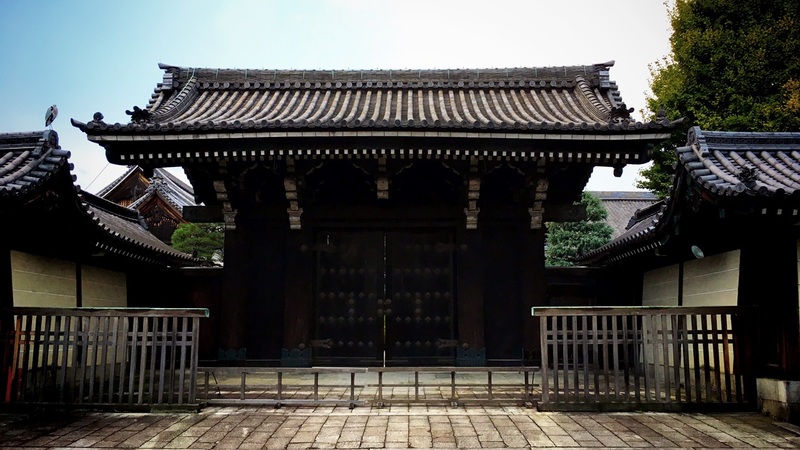 Why was the Hongan-ji Temple split into two temples? 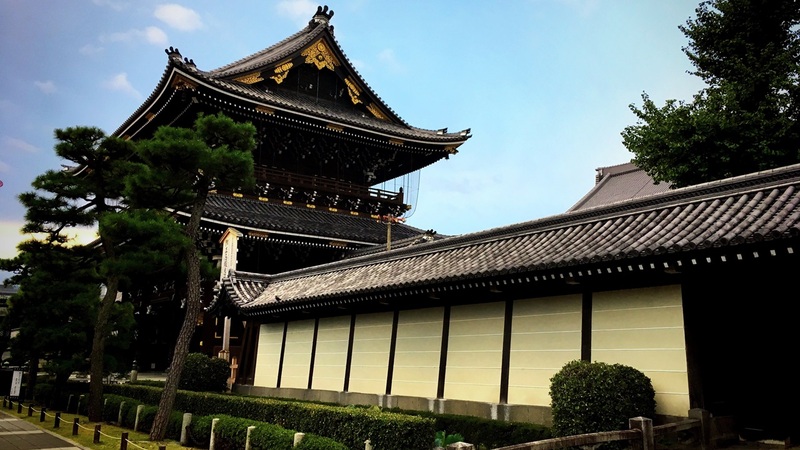 1.Why was the Hongan-ji Temple split into two temples? 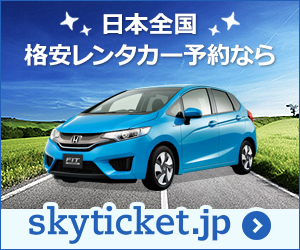 Let’s study the Japanese history with me before introducing Higashi Hongan-ji Temple. 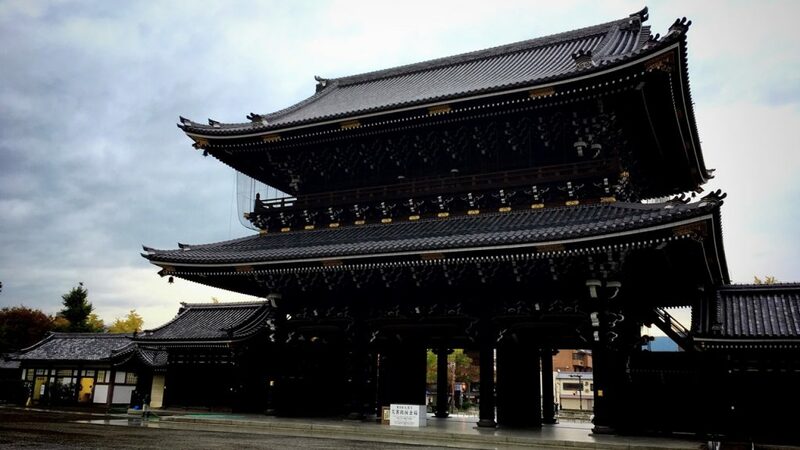 I think that we can enjoy the sightseeing of Hongan-ji Temple still more by learning the history of these temples. 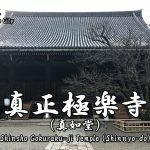 Originally, the Nishi Hongan-ji Temple and the Higashi Hongan-ji Temple were one big temple of the Jodo Shinshu Sect of Buddhism. 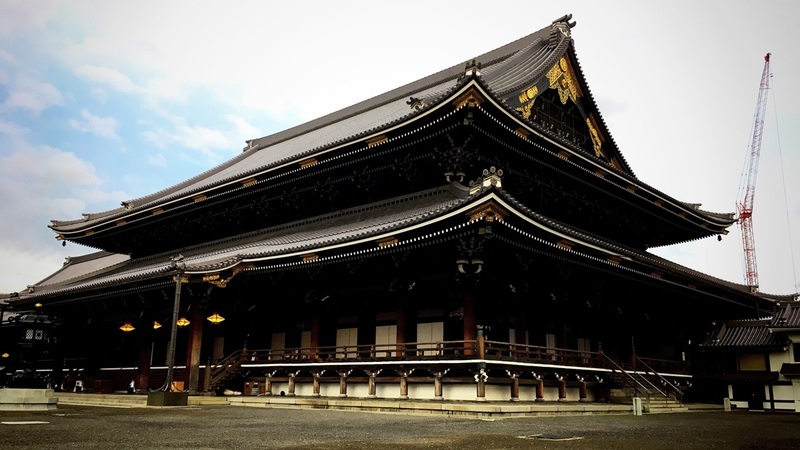 In the Sengoku period, Hongan-ji was one of the major force in Japan. So, they had resistance movement which was called ‘Ikko ikki‘ to resist Sengoku daimyo(feudal lord) in each place of Japan. The Hongan-ji religious group of this period was an armed battle group to Sengoku daimyo definitely. 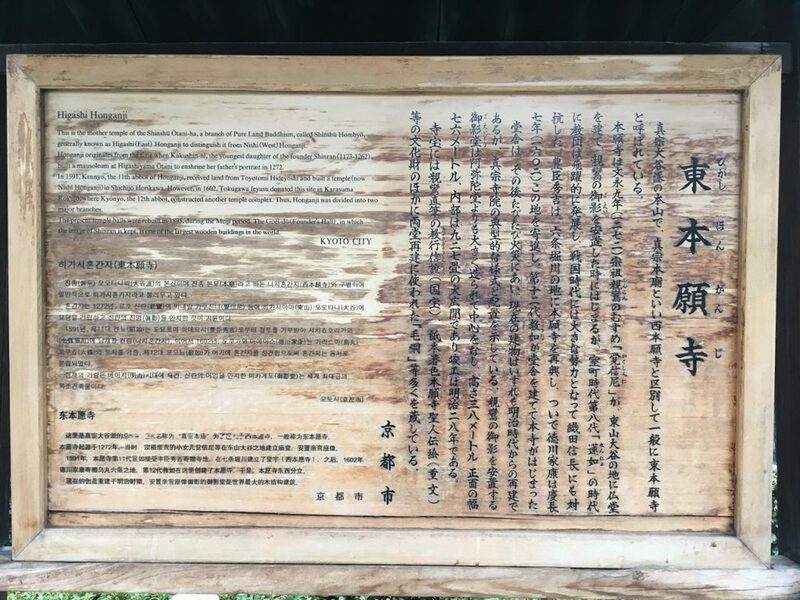 Particularly, the conflict between Hongan-ji Temple and the Oda clan, which began in 1570 and lasted over ten years as the so-called ‘Ishiyama Gassen(War)‘, burdened Nobunaga ODA heavily, since Hongan-ji Temple had gained the upper hand through the coalition between Kennyo and others who had entrenched themselves in the fortified Ishiyama Honganji Temple, and Hongan-ji Temple followers who carried on a resistance movement against the Oda clan in various regions. 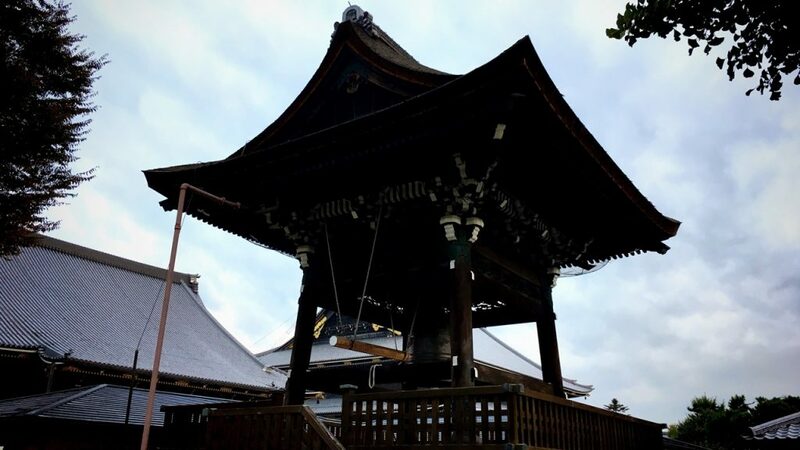 But, finally, because Nobunaga ODA destroyed Ishiyama Honganji Temple which was the head temple of Hongan-ji religious group in 1580, the Hongan-ji’s power became weak. By the way, it is also said that the series of Ikko Ikki is one of the reason that Nobunaga Oda was not able to unify Japan. Herewith, Hongan-ji Temple split into Nishi Hongan-ji Temple of which the twelfth monshu was Junnyo, the third son of Kennyo, (the present Hongan-ji branch of Jodo Shinshu) and Higashi Hongan-ji Temple of which the twelfth monshu was Kyonyo, the eldest son of Kennyo (the present Otani branch of Jodo Shinshu). 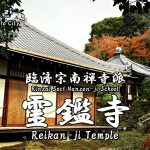 Then after the separation of Hongan-ji Temple, Higashi-Hongan-ji Temple and Nishii-Hongan-ji Temple came to confront each other, and resultantly, the sect gradually lost the strong armed religious power that had been threatened daimyo in the Sengoku period. Higashi Honganji (東本願寺 Higashi Hongan-ji), or, the Eastern Temple of the Original Vow, is one of two dominant sub-sects of Shin Buddhism in Japan and abroad, the other being Nishi Honganji (or, ‘The Western Temple of the Original Vow’). 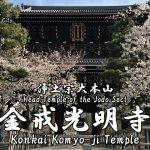 It is also the name of the head temple in Kyoto, a collection of buildings built in 1895 after a fire burned down the previous temple. As with many sites in Kyoto, these two complexes have more casual names and are known affectionately in Kyoto as Onissan (お西さん, Honorable Mr. West) and Ohigashisan (お東さん, Honorable Mr. East). There is the Goei-do Hall which is the largest architectural wooden structures in the world in the precincts of this temple. 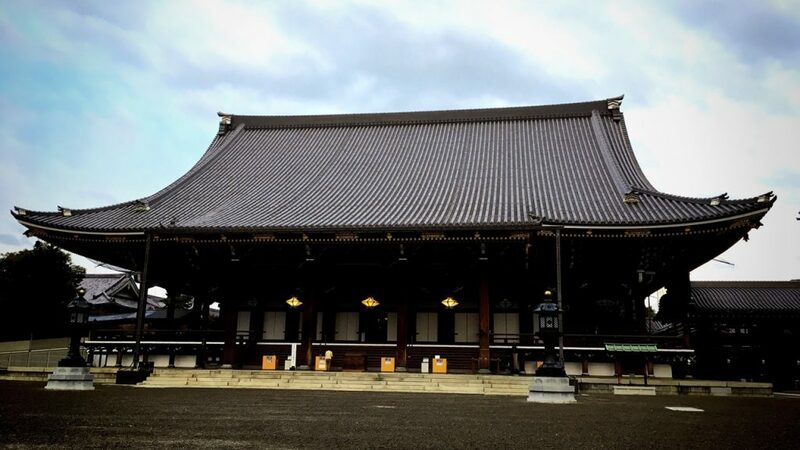 There is the Nishi Hongan-ji Temple which is the head temple of the Hongan-ji branch of Jodo Shinshu on the west side of the Higashi Hongan-ji Temple. 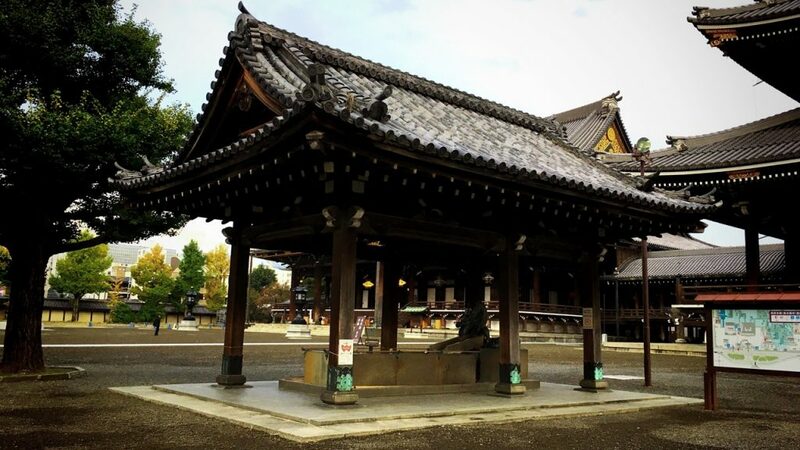 This temple is often referred to a ‘Higashi Hongan-ji Temple’ or ‘Ohigashi-san’ in order to differentiate it from Nishi Hongan-ji Temple (officially named Ryukokuzan Hongan-ji Temple) which is also situated in Kyoto’s Shimogyo-ku Ward. 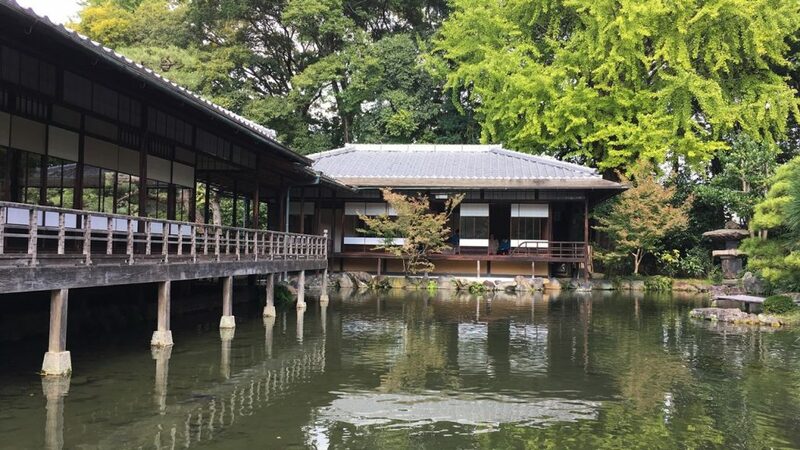 Shosei-en Garden, on the neighboring grounds, is a national scenic area. 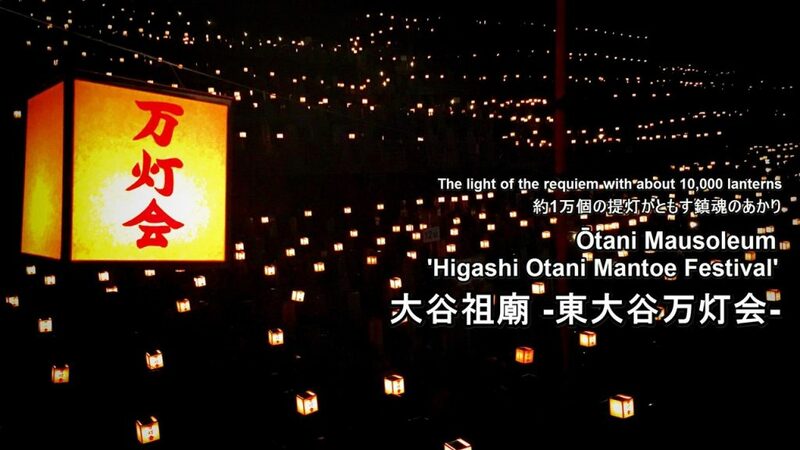 In Otani Mausoleum which is the grave which Higashi Hongan-ji Temple manages, on the nights of Obon festival (a Festival of the Dead or Buddhist All Soul’s Day) (August 14-16) every year, the ‘Higashi Otani Mantoe Festival’ is held. 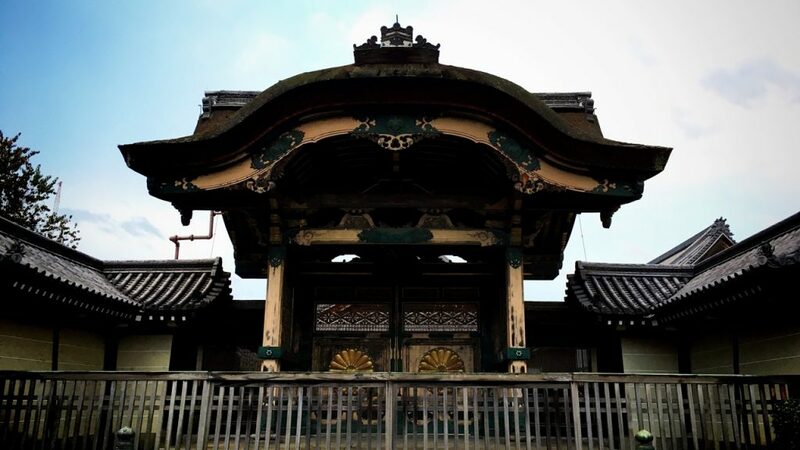 Because this temple had 4 great fires in the Edo period, it acquired the nickname, “Flaming Hongan-ji Temple”. 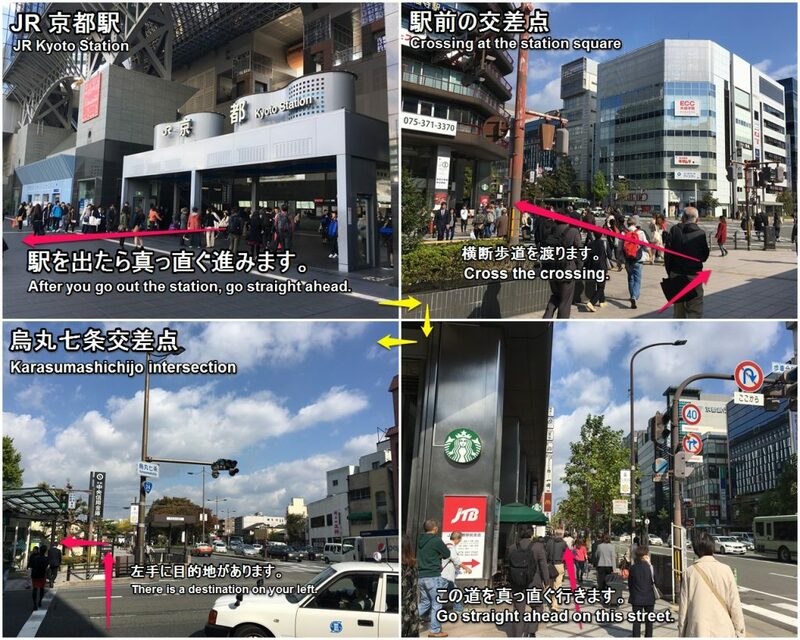 For that reason, the current buildings, many burned and were rebuilt in the Meiji period. This is the Goeido-mon gate rebuilt in 1911 of the Meiji period which is designated as a Registered Tangible Cultural Properties. 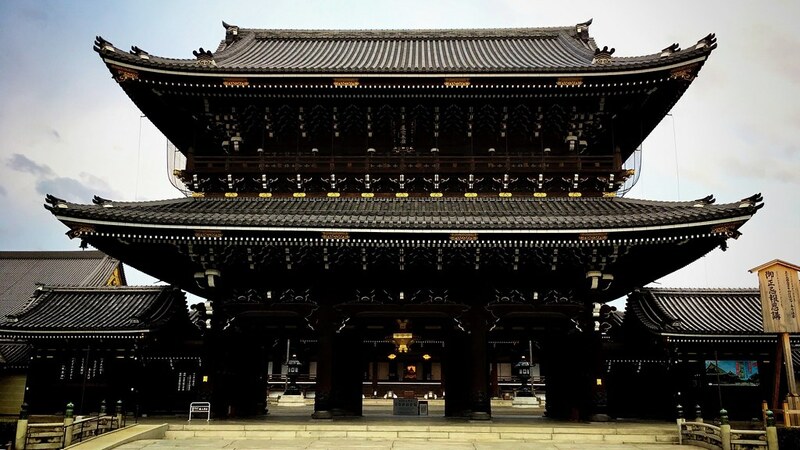 It is considered one of the three great gates of Kyoto along with the Sam-mon Gate of Chion-in Temple and the Sam-mon Gate of Nanzen-ji Temple. 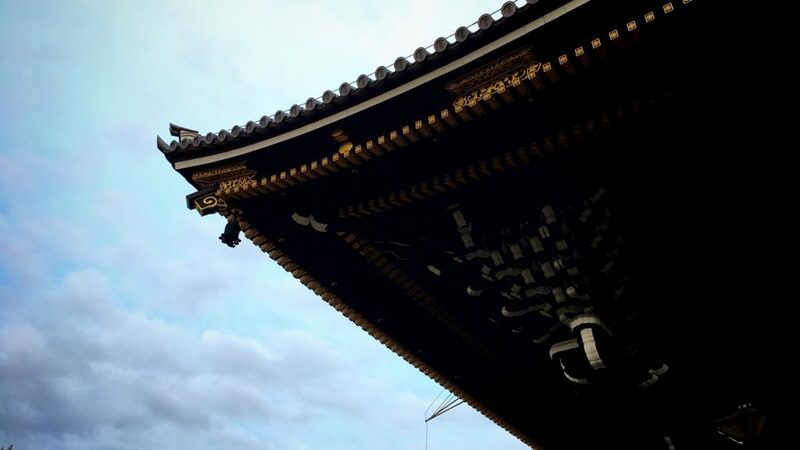 The roof of this gate is formal tile-roofing. This is the Amidado-mon gate rebuilt in 1911 of the Meiji period which is designated as a Registered Tangible Cultural Properties. 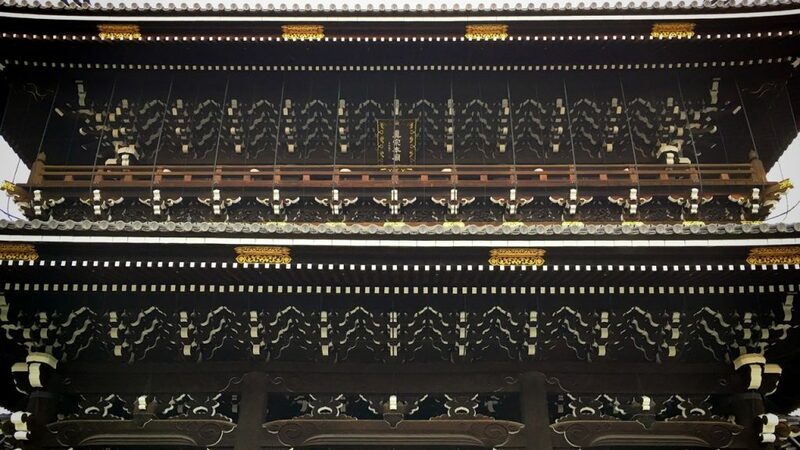 The roof of this gate is Hiwadabuki (roofs with the bark of hinoki, Japanese cypress). This is the Goei-do hall rebuilt in 1895 of the Meiji period which is designated as a Registered Tangible Cultural Properties. 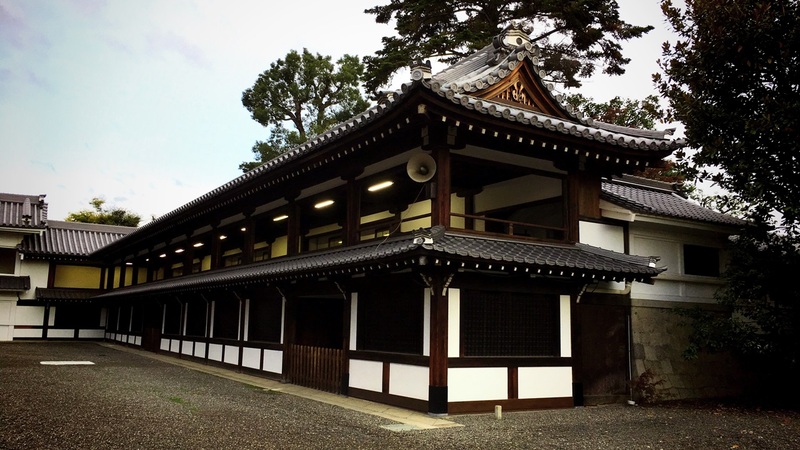 Shinran who was a sect founder of the Jodo Shinshu Sect is enshrined in this building. 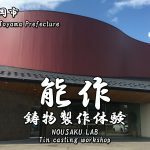 The total cost of construction of this building took approximately 9, 800 million yen and it took about 15 years for built. This is the Amida-do hall rebuilt in 1895 of the Meiji period which is designated as a Registered Tangible Cultural Properties. This building is the main hall of this temple, and Amida Nyorai (Amitabha Tathagata) which is the principal idol is enshrined in the building. This building is smaller than the Goei-do hall, but still is very big. 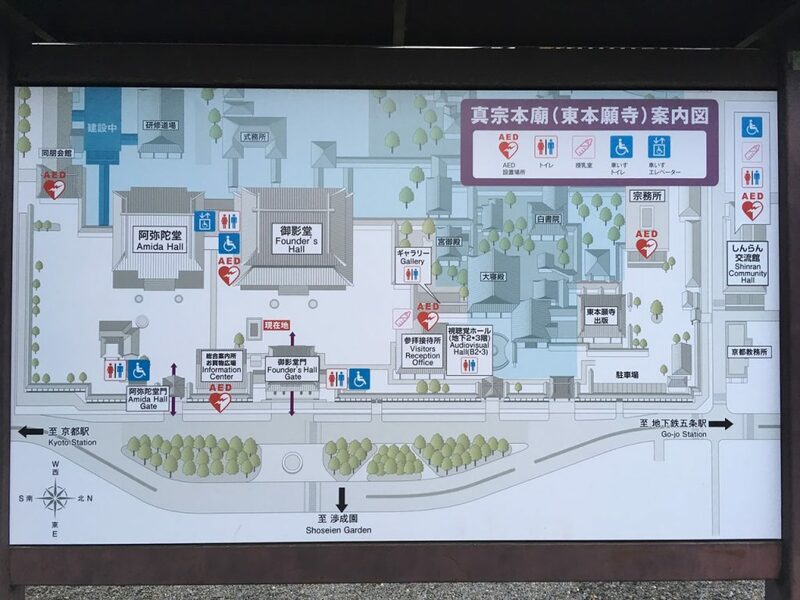 Each hall is connected by the 2-story corridor called Taka-Roka (High corridor). This is the Shoro (bell tower) rebuilt in 1894 of the Meiji period which is designated as a Registered Tangible Cultural Properties. 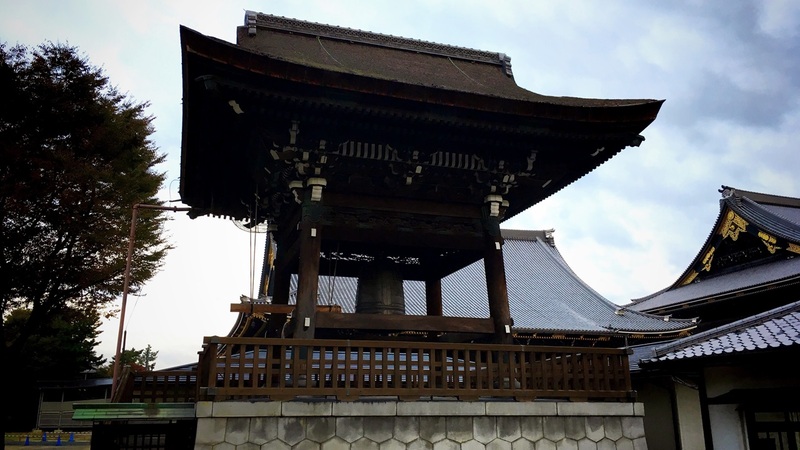 The temple bell hung by this bell tower was cast in 1604 of the Edo era. 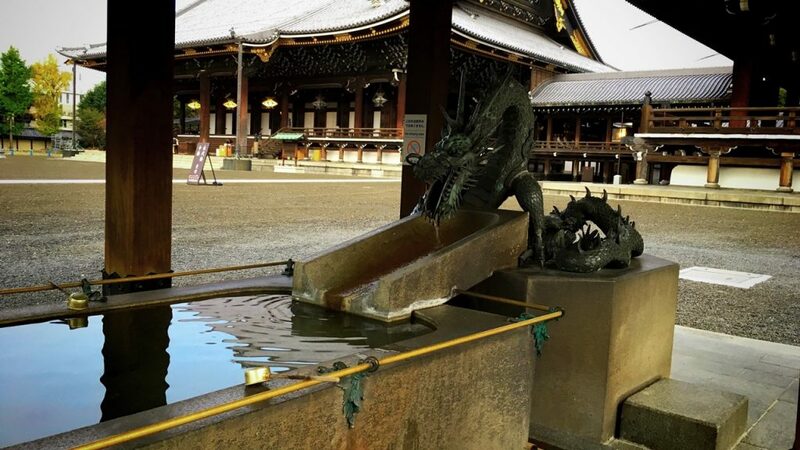 Because the dragon is a symbol of God of the water in Japan, the sculpture of the dragon is often put in the Chozuya. This is the Kikuno-mon(Chrysanthemum gate) built in 1911 of the Meiji period which is designated as a Registered Tangible Cultural Properties. 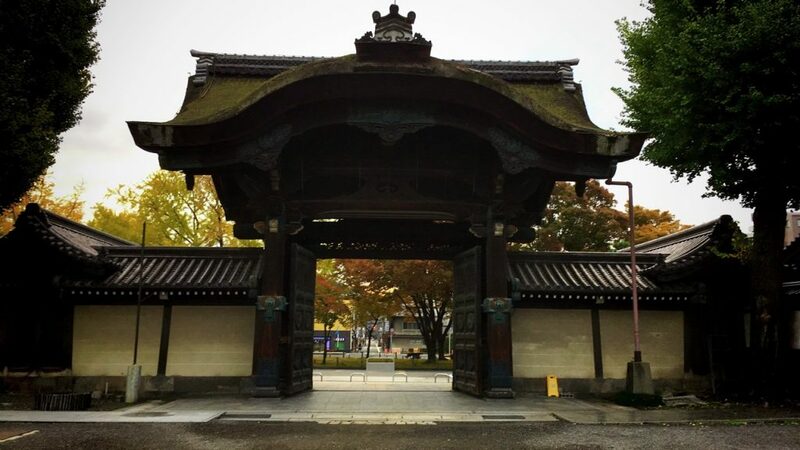 Because this gate has a role as the Chokushi-mon gate, the Imperial Crest of the Chrysanthemum that is a crest of the Imperial Family is decorated in this gate. This is the Genkan-mon gate built in 1911 of the Meiji period which is designated as a Registered Tangible Cultural Properties. This gate has the role of the entrance of the Dai-Shinden hall. 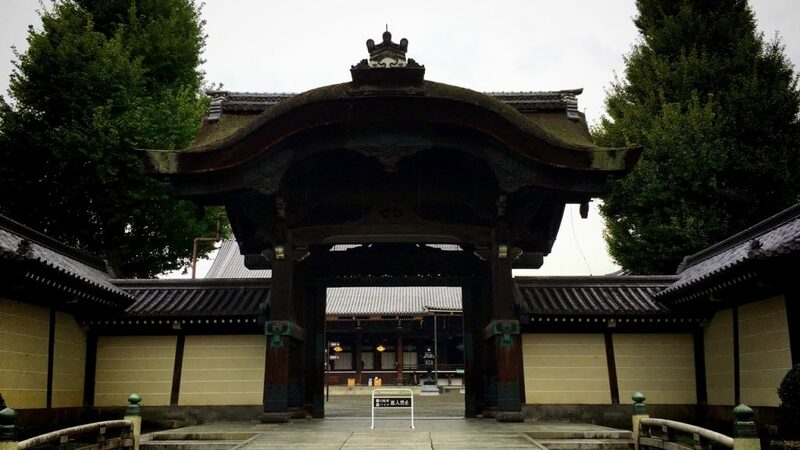 However, this gate is always closed because the Dai-Shinden hall is not open to the general public. This is the Tsuijibei (Roofed mud-wall) built in the Meiji period which is designated as a Registered Tangible Cultural Properties. These walls are surrounding this temple. The white lines called Jogi-suji are drawn on this wall. This white line expresses the grade of a Buddhist temple. Five white lines are the best grade. The Hongan-ji Temple does not have a goshuin. But instead, we can get a commemorative seal at the reception desk. 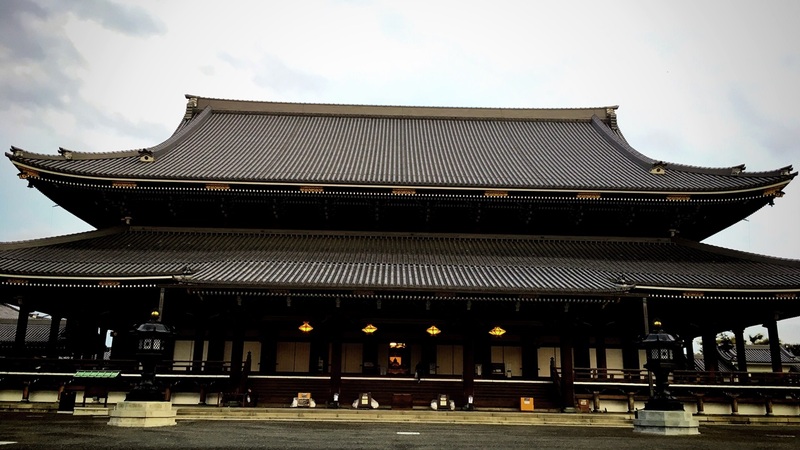 We go on foot from JR Kyoto Station to Higashi Hongan-ji Temple. It’s about 10 minutes (500m) on foot. 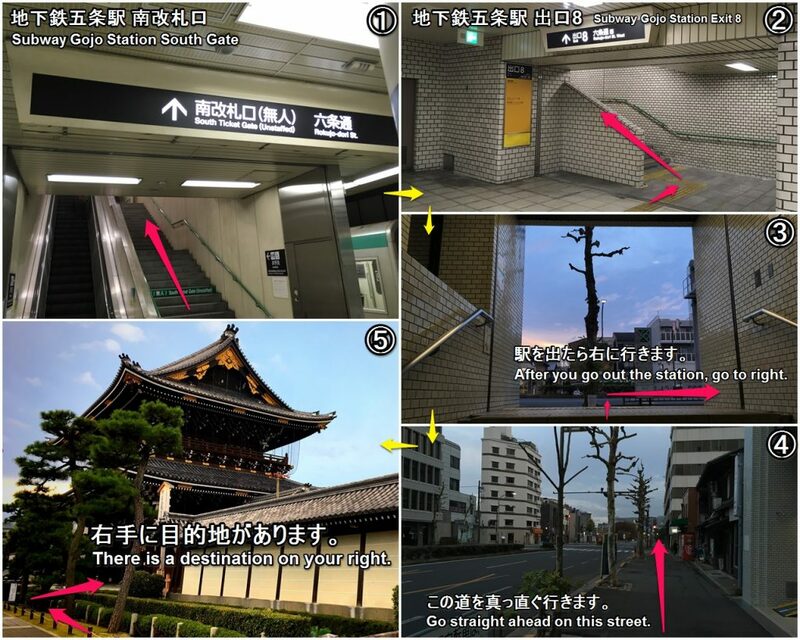 We go on foot from Subway Gojo Station to Higashi Hongan-ji Temple. Let’s show a taxi driver the following phrase.